On April 6, 2018 CNN published an article about asthma in adults. It was called “Developing Severe Asthma in Adulthood”. Asthma in adults occurs with a frequency of about 2.3 per 1000 people per year. This publication also noted that women suffer from this condition more often than men. For both sexes the occurrence of asthma in adults peaks at 35 years of age. The triggering factors for asthma can be infections, allergies, or the condition can come on spontaneously. Coughing is one of the main symptoms. You may be breathless when walking stairs. You may feel weak or tired when exercising. After exercise you may be wheezing or coughing. If you measure your breathing capacity with a peak flow meter, the values are lower than normal. Cold air or irritants like cigarette smoke may trigger coughing or wheezing. In industrial workers the trigger for asthma can be noxious fumes. Your doctor likely will order a test, called spirometry. You are breathing into a tube with a connection to a spirometer. A technician will instruct you to breathe out to the max (maximal exhalation). Next you will have to breathe in as quickly as you can. These breathing activities translate into a breathing curve on the read-out of the spirometer. With asthma there is a certain degree of restriction of airflow due to spasms in the smaller bronchial tubes, called bronchioles. This will be obvious from the breathing pattern of the spirometry read-out. When the spirometry test is normal or near normal, a Methacholine challenge test can be another diagnostic tool. If this produces an asthma attack, it is clear that the person does indeed have asthma. Our bodies normally produce nitric oxide, and a small amount of it appears in your breath. But if there is a large amount of it present in your breath, it indicates chronic inflammation in your airways, which can be one of the causes of asthma. Your doctor may want to order sinus x-rays to rule out sinusitis or a chest X-ray to rule out pneumonia. If he suspects allergies a referral to an allergist sill be next. The specialist will do skin prick tests to see what you are reacting to. When the physician is thinking about an asthma diagnosis, it will be necessary to exclude other diseases first. It is important to exclude a bronchial or lung infection as well as the presence of emphysema or chronic obstructive pulmonary disease (COPD). Clots in the pulmonary vasculature (pulmonary emboli) have to be ruled out. When there is a history of gastroesophageal reflux, tests should exclude that there is aspirated gastric contents into the lung. Another condition that could bring on wheezing is chronic congestive heart failure, where the heart fails to pump enough blood, and shortness of breath is a consequence. Tests are available to exclude all of these conditions. As all patients with asthma have inflammation in the airways, it is important to use corticosteroid inhalers that will control this. These inhalers will control the swelling and mucous production in the lining of the bronchial tubes. With the daily use of these inhalers the airflow improves, the airways become less sensitive and the patient experiences fewer asthma episodes. Bronchodilators are inhalers that will relax the muscle bands around the bronchial tubes. This allows the patient to breather easier. The mucous flows more freely and can be coughed up easier. There are short-acting and long-acting forms of bronchodilators. Your physician will instruct you which one to use. Adult onset asthma is separate from asthma of childhood. Often the triggers are allergies or irritants, including industrial irritants. With a proper diagnosis and treatment adult asthmatics have a normal life expectancy. It is important to control the inflammation of the airways with anti-inflammatory corticosteroid inhalers. For acute asthma attacks a bronchodilator must be used right away to ensure normal airflow is restored. The patient learns how to modify the asthma therapy. As a result there are very few occasions where the patient would need treatment in a hospital. Most patients can treat an asthma attack quickly and they respond very well to the treatment. As a result adult asthmatics can lead active lives and have no physical limitations. Dr. Jill Carnahan gave a talk about our toxic environment. Her concern were environmental toxins and that was what she presented at the 23rd Annual World Congress on Anti-Aging Medicine (Dec. 11-13, 2015) in Las Vegas. Her talk was entitled: “Diagnosis and Treatment of Environmental Toxicity”. It was very interesting, but it cannot be summarized here in depth with all of the details. It would take 10 pages or more to do this. Here I am summarizing the key points that she made, as they are not likely general knowledge. Dr. Jill is a functional medicine expert consultant and treats environmental and mold-related illnesses as well. The world we live in is full of toxins like industrial toxic chemicals, car exhausts, and housing materials (carpet, drywall, lumber, flooring). The list goes on with clothing bedding and furniture. More chemicals lurk in the bathroom: they can be found in toothpaste, hair shampoo, conditioners, and personal beauty products that we apply to our face and bodies. Cleaning products and laundry chemicals are also on the list. Why is it important to be aware of that? Because toxic chemicals that enter our bodies through the skin, the gut and the lungs will accumulate over the years in fatty tissue, in breast tissue and breast milk. Over the long term they contribute to the development of cancer, autoimmune disease like Crohn’s disease or thyroiditis and many other chronic diseases, particularly neurodegenerative diseases like Alzheimer’s and Parkinson’s disease. Dr. Jill (as Dr. Carnahan calls herself) explained in great detail how important it is to take a thorough environmental history, which includes exposure to occupational poisons, home environmental and nutritional exposures, not only for the present time, but also back several decades. One tool Dr. Jill uses consists of several websites that list environmental toxins by zip code. When the physician is informed of of the places where the patient has lived and worked, based on the zip codes a complete exposure picture emerges. Symptoms are the indicator whether or not toxins may play a role: fatigue, sleep disturbances, memory problems, headaches and the presence of more serious conditions like autoimmune diseases, neurodegenerative diseases and cancer. In addition, the physician orders refined blood and urine tests that check out toxic levels of common toxins. There are exotoxins, coming from the outside: phthalates, parabens, heavy metals, solvents, organophosphates and pesticides to just name the more common ones. Toxic molds and heterocyclic amines are also exotoxins. These latter carcinogens (heterocyclic amines) are produced by overheating meat. Then there are endotoxins, toxins that are produced inside the body: endotoxins in the form of toxic lipopolysaccharides from gram negative bacteria (causing toxic shock syndrome), yeast, chemical additives from food, stress and constant negative emotions leading to an overdose of glucocorticosteroids. All of this leads to the total toxic body burden. Here what leads to the total toxic body burden: Eating a Standard American Diet is one of the main reasons why people accumulate toxins. Add to that petrochemicals, residues, pesticides, and fertilizers, and exposure to heavy metals, like mercury and lead. Some medications like antifungals can also be toxins. Food allergies, environmental allergies and allergies to molds indicate that the body has accumulated toxins. There are also internal toxins from bacteria, fungi, viruses, and yeast that contribute to the total toxic burden. Hormonal and metabolic toxins that aren’t eliminated properly add to the problem, as do isolation, loneliness, anger, jealousy, and hostility. These negative emotions function like toxins on the immune system. Mental illness can contribute similarly in a negative manner, as the mind and the body work together. Headaches, joint pain, muscle aches, fatigue, difficulty concentrating, food cravings, gas/bloating, constipation, foul-smelling stools, diarrhea, postnasal drip, sinus congestion, canker sores, heartburn, insomnia, trouble losing weight, water retention, rashes, acne, skin problems, psoriasis, eczema, dark circles under the eyes, bad breath or premenstrual syndrome. As already mentioned before Parkinson’s disease and Alzheimer’s disease are among the neurological diseases that have been identified to be linked to environmental toxicity. Some forms of dementia and MS also belong to these. In the very young child autism has been identified as filtering out those who are particularly sensitive to environmental toxicity. Attention deficit disorder also belongs here. Among adult patients heart disease, chronic fatigue syndrome, fibromyalgia, Crohn’s disease and ulcerative colitis are red flags for possible underlying environmental toxicity. Food allergies, depression, anxiety and insomnia can also be indicators of environmental toxicity. Arthritis, menstrual disorders, autoimmune disease and any form of cancer are also flags for environmental toxicity. Dr. Jill explained that the doctor who specializes in environmental issues would take a detailed history paying attention to chemicals the patient may have ingested or be in contact with. It also includes a dental history, including whether or not the patient has silver amalgam fillings or had them removed without subsequent chelation therapy. She even showed several slides of known associations with specific toxins for the diseases just indicated. These are subsequently identified as closely as possible by doing toxicity tests. There are several marker substances that get used up when the body starts detoxifying some of the environmental toxins. Glutathione levels in the blood can be measured and can serve as an indicator as to whether or not the body has been challenged by toxins. Glutathione is synthesized by the liver and is a powerful antioxidant and toxin remover. A low glutathione levels is associated with many chronic illnesses. A low total antioxidant capacity is an indicator that toxic metal exposure, infection, inflammation, xenobiotic exposures or environmental toxicity in general may be present. There are two metabolic pathways that are important for detoxification to occur: the methylation pathway and the trans-sulfuration pathway. It would be too technical to go into this further, but treatment concentrates on re-establishing these metabolic pathways. Co-Q-10 (=ubiquinone) can be measured in the plasma and is also a marker of reserve. The patients can also be take it as a supplement at 400 mg per day, which will strengthen mitochondrial function. The mitochondria are the energy packages of each cell. There are organic acids that are toxic. One of them is methyl-tert-butyl ether (MTBE), which is an additive in use to increase octane ratings in gasoline. Tests found that ground water contains MTBE from leaking gas tanks in filling stations. Inhalation at the gas station can cause dizziness, headaches and mental confusion. In animals it has caused gastrointestinal irritation, liver and kidney damage. Another organic acid, styrene, is widely distributed in rubber, insulation, plastic, fiberglass, food containers and carpet backing. The US-EPA has labeled it as “potential human carcinogen”. Special tests, which the environmental doctor can order can measure the levels of these organic acids in the body. Autistic children have taught doctors a lot about epigenetics. After initial 2 or 3 years of normal functioning autistic children suddenly have a variety of severe symptoms like balancing problems, lack of social skills, problems concentrating, tiptoeing etc. The methylation pathway involves one or more of the enzymes. They are are no longer working properly because of epigenetic effects, events that cause their DNA to have a different gene expression. However, with detoxification and nutritional rehabilitation it is possible to turn this around, as the underlying cause is not a fixed genetic defect, but rather an epigenetic malfunctioning. You fix the methylation pathway, and full function returns. Other research has shown that a similar methylation defect occurs in PTSD and in schizophrenia. Orthomolecular physicians have developed treatment programs for schizophrenics that often work (but not in all cases). Dr. Jill stated that with genetic disease there is a multitude of characteristic symptoms, which is due to abnormal methylation pathways that is often in combination with a severe oxidative overload, caused by environmental insults. Most cancer and chronic diseases are epigenetic in nature, not caused by genetic causes. Dr. Jill explained that the molecular switches of the epigenetic switch that turns a gene on or off have been unmasked: Acetyl groups promote gene expression, while methyl groups inhibit gene expression. As long as there is a balance in the methyl/acetyl ratio, the patient is healthy; the moment environmental toxins disturb the balance and an epigenetic switch occurs, the patient is heading towards disease. What genes switch on or off determines what disease will develop. Food and beverage containers, water bottles and plastic dinnerware contain bisphenol (BPA). Many countries have outlawed BPA in baby bottles. Deodorants, toothpaste and shaving creams contain triclosan. Many of these substances have been banned because they are persistent poisons. Because of this they are still in the environment today, particularly in non-organic produce. DDT was in use agriculturally as an insecticide until 1972, but you find it still now in meat, poultry, dairy products and fish. Hexachlorobenzene was in use as a pesticide until 1965 and as fungicide in cereal grains. Mirex was in use as a pesticide for fire ants until 1978. When you buy non-organic butter, farmed Atlantic salmon, non-organic cheese and non-organic fatty meats (lamb, ground beef) they contain various pesticides. Dr. Jill’s advice: don’t buy that, but buy organic food! Sauna therapy and colonic irrigations will remove much of the chlorinated pesticides. Chlorophyll and all chlorophyll containing foods will also help in eliminating persistent organic pollutants. This could be a good reason to consume the occasional homemade green smoothie with leafy organic ingredients like spinach or kale! Car exhaust fumes contain benzene (gasoline), styrene, toluene and xylenes. Styrofoam contains the toxic compound styrene. Don’t microwave food contained in Styrofoam, as it releases the toxic styrene into the food. Avoid breathing the fumes of gasoline, glues and solvents; use non-toxic cleaners. Vitamin C, selenium and glycine help to detoxify volatile toxins. Buy organic food. It should be sugar-free, gluten-free, dairy-free, non-GMO food. Buy only whole and un-processed foods, a variety of leafy greens and other chlorophyll-rich foods. Add to this a variety of colorful fruits and veggies, but avoid the dirty dozens; buy them organic. Limit processing of your food. Get local or homegrown food; avoid refined oils and trans fats. Avoid food allergens; the same is true for the most toxic foods: simply avoid them! Don’t eat farmed Atlantic salmon, high mercury fish like tuna, orange roughy, Chilean sea bass, shark and swordfish. Here is a detailed guide to low mercury fish. Stick to “very low” and “low mercury fish”. Avoid non-organic eggs & dairy. Avoid the dirty dozen fruits/veggies mentioned under point above. Here is a quick whirlwind tour through toxins in our environment. The most important step I suggest you take is to review the toxins in your bathroom and around the house. The next important step is to buy and eat the right foods that are toxin free. If you follow Dr. Jill’s “clean diet 101” as described above, you will avoid exposure to toxic substances. Your healthy food intake becomes your maintenance treatment to detoxify at the same time. Only more seriously affected people need to see an expert like Dr. Jill. People with mercury or other heavy metal poisoning may need a series of intravenous chelation treatments as mentioned in this link. The entire process requires a lot of attention and vigilance. Ask questions about products and read labels. It is worth the effort, as this means preventing health problems in the future. Attention Deficit Hyperactivity Disorder (ADHD or ADD, attention deficit disorder) has been in the spotlight on and off over the years. It affects 8% to 10% of school-aged children, and about 2% to 5% of adults who still have this condition. Typically a parent receives a note from school that they must come to a teacher/parent meeting and it is discussed that the child is disruptive in class, not paying attention, interrupting the teacher inappropriately and forgetting to do their homework. The teacher suggests that this may be a sign of hyperactivity. The school nurse is also of this opinion and they suggest getting a prescription for Ritalin or Adderall (amphetamine type medications), drugs that have been shown in other kids to be fairly effective in treating the symptoms. Next the child is seen by the doctor who confirms the diagnosis and Ritalin (methylphenidate) is prescribed. In an attempt to quickly control the situation, the side effects of Ritalin are often not discussed in detail: agitation, insomnia, nervousness, anxiety, nausea, vomiting and loss of appetite, palpitations, dizziness, headaches, an increase in the heart rate, blood pressure elevation, and even psychosis (Ref.1). It is easy to just write a prescription for Ritalin and hope that all is well. Had the parents heard of all the possible side effects, they may have asked whether there were alternative treatments available. The exact cause of ADHD remains unknown, but there is a clustering of this condition in some families, so there seems to be a clear genetic component (Ref.2). It appears that several genes are involved, namely those associated with serotonin and glutamate transporters, but also those affecting dopamine metabolism. Males are affected with ADHD more often than females (in children 3:1, in adults 1:1). Some remarks regarding brain development are in order: Dr. Kharrazian describes that the grey matter of the brain develops before the age of 9 and the development of the white matter is completed by the age of 19 (Ref. 3, p.3). In ADHD patients the frontal brain is underdeveloped resulting in an inability to suppress unacceptable behavior, immediate desires and impulses. Prescription drugs may alter the behavior on the surface, but the frontal brain development is still lagging behind. The only thing that can influence this is behavioral/cognitive therapy and extra tutoring while the symptoms are controlled. The window of opportunity is closed by the time the ADHD patient has reached the age of 19. After that a juvenile ADHD turns into a permanent adult ADHD. The cases that had only childhood ADHD and outgrew it were the ones where the frontal lobe abnormalities had corrected themselves before the age of 19. This review article has noted that there is an association between a Western style diet (sugar and fat rich) and ADHD. Interestingly both Ref. 1 and 2, which I would categorize as having originated from mainstream conventional medicine circles, deny such an association. But the link also noted that a healthy diet with fiber, folate, and omega-3 fatty acids as well as supplementation with iron and zinc when these minerals are found to be low in the blood, do make a significant difference in ADHD patients towards normalization of their symptoms. One of the under diagnosed causes of ADHD is gluten sensitivity as Dr. Perlmutter described in his book (Ref. 4, pages 150-158). This can spare the child or teenager the toxic side effects of anxiolytics, antidepressants or antipsychotics that may be inappropriately prescribed by their physicians, and a gluten free diet would allow the brain to recover very quickly in such cases. A food sensitivity history and some simple gluten sensitivity blood screening tests will diagnose this condition or rule it out. To complicate matters even more, Dr. Amen has mentioned in several books that there are at least 7 different subcategories of ADHD that he has found in ADHD patients when studying thousands of single-photon emission computed tomography brain scans (SPECT brain scans). Dr. Amen mentions that the 7 subcategories of ADHD are the combined type ADD, the primarily inattentive ADD subtype, overfocused ADD, temporal lobe ADD, limbic ADD, ring of fire ADD and trauma induced ADD. Dr. Amen explains that each of these types needs to be treated differently and some of the treatment failures are explained by the fact that the wrong type of ADD was treated (Ref.5). In the following I mention 5 steps that are useful for treating ADHD patients. A first step toward normalization of the metabolic changes in the brain metabolism of the affected child or adult is to adopt a diet that has been linked with low risk for ADHD: avoid food additives, cut out refined sugar, avoid known food allergies like gluten sensitivity and others. You may need to test the patient for food allergies using an elimination diet. Add a good amount of molecularly distilled omega-3 fatty acids (the pure form of omega-3 without mercury, lead or PCBs) as this has shown beneficial effects in ADHD patients. Involve a behavioral psychologist for behavioral/cognitive therapy treatments. This is particularly effective in the 9 to 19 year old category where the frontal region of the brain is still developing. Work together with the schoolteacher and get supplemental teaching in areas of academic weakness to reduce the frustrations in the classroom setting. In adolescent girls who just started their period, a relative lack of progesterone (estrogen dominance) may be a contributory factor. A small dose (20mg to 30 mg) of bioidentical progesterone from day 6 to 16 of the menstrual cycle may help significantly in alleviating the symptoms of ADHD. You may need to consult a naturopathic doctor or anti-aging physician to get a prescription for that. If all of this helps only marginally, then a smaller amount of Ritalin may be helpful; however, blood tests should be drawn from time to time to monitor for drug toxicity as the rate of absorption and elimination of the drug varies significantly from patient to patient. It is interesting that studies have shown that a combination of Ritalin or Adderall with alternative treatment methods had a better outcome than either method alone. It is important to think about the various possible causes of ADHD and not just get caught up in the knee-jerk reflex of treating ADHD with Ritalin (note that this was only step 5 above, if all the other things failed). In co-operation with the school system and using alternative ways at home first (change of diet, possible addition of low dose bioidentical progesterone cream in girls) and additional tutoring in weak school subjects the need for Ritalin may be avoided. If all else fails, the conservative approach is still available, but I suggest that drug monitoring (blood levels that should be done from time to time to avoid toxicity) is important. 1. Ferri: Ferri’s Clinical Advisor 2014, 1st ed., © 2013 Mosby. 4. David Perlmutter, MD: “Grain Brain. The Surprising Truth About Wheat, Carbs, And Sugar-Your Brain’s Silent Killers.” Little, Brown and Company, New York, 2013. 5. Daniel G. Amen: “Use Your Brain To Change Your Age” © 2012, Harmony Books, An imprint of Crown Publishing. In a recent news story extensive mold infestation was found in a house that had oriented strand boards (OSB) instead of plywood walls. The house also was tightly sealed trapping moisture, which contributed to the extensive mold problem. Mold problems have been around for centuries, but only in the past few decades allergists have pointed out to their patients how important it is to prevent this from happening. In the following I will review a few typical scenarios that can lead to mold accumulation. The homeowner described in the link above is not the only case in the world that has a mold problem. Energy efficient homes are popular because they save energy costs; homeowners often also respond to gas companies, electric utility companies and government incentives to convert to airtight home construction. In the 1980’s the construction industry introduced the cheaper OSB products to replace the more expensive plywood for wall construction. This is often the problem with newer house construction. 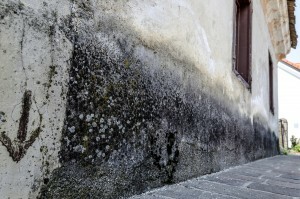 However, older homes are not immune to mold development. Older homes that were built in the 1970’s may have plywood walls and have a bit of airflow from poorer wall construction, which would prevent mold formation. But roofs are older and do not always get replaced right away when a leak is detected. It may even take some time in areas where there is less precipitation before it is picked up during a particularly heavy rainstorm. Water that enters from a leaky roof can form a puddle on top of the ceiling where mold softens the drywall material until a leak in the ceiling causes water to drip down onto the floor. The mold spores multiply particularly well in wall-to-wall carpeting, but OSB material is also a good growth opportunity for molds due to the mini air spaces between the glued wood pieces. Plywood with its several tight layers is much more resistant to water penetration and mold growth. After hurricane Sandy images of “black mold” were frequently shown in the media. The problem is that after 48 hours anything that was in contact with water produces mold. However, often with disasters like hurricanes there are evacuation orders and you cannot return to your home for several days. There may be further delay because there is a waiting period for insurers to assess the amount of damage, before you can clean all surfaces affected by mold. The end is result often that expensive mold sanitation is needed or the person ends up moving away and the house is levelled before a new house can be built. People with preexisting allergies and asthma are more susceptible to the effects of molds. It leads to itchy eyes, wheezing, coughing, and exacerbation of asthma. Here is a brief overview what the CDC is stating about mold. This site also explains that you can recognize a mold problem because of a musty smell or foul stench in the air and because of the appearance (discoloration of ceilings or walls, water damage). You can clean hard surfaces with bleach water. Bleach kills molds, but it may have to be cleaned several times within a few days to get rid of the last spores. Whatever cannot be sanitized in this way must be removed or replaced. Ref. 1 reviewed the public concern about the toxic effects of molds. It noted that with the Internet and the popular press having exaggerated some of the connections of symptoms with mold allergies, the term “mold madness” has been coined (Ref.2). Despite the paranoia in the general public about toxins from molds, there is only a small percentage of the population that is sensitive to molds where IgE antibodies and IgG antibodies against molds can be determined through blood tests. These individuals often are also allergic to other environmental allergens like grass pollen and dust mites. The asthmatic reactions in sensitive people are not as severe as what peanut traces would do to peanut sensitive patients, but skin testing and blood test screening for specific IgE and IgG antibodies do often confirm that sensitive people indeed can have specific mold allergies. In the vast majority of people these tests are negative and correlations between mold infestations and allergic reactions could not be verified (Ref.1). It follows from this that you should remove any visible molds and fix whatever the cause was for its appearance. Carefully disinfect the areas with diluted bleach water (the CDC recommends 1 cup of bleach per 1 gallon of water) several times. Make sure the areas are dry and not musty otherwise you have work on improving ventilation. If you are not one of these hypersensitive persons, there is nothing to worry further. However, if you are hypersensitive an allergist should examine you. Common indoor molds that cause the so-called “immediate type hyper reactivity” are due to the mold species Aspergillum and Penicillium. Most outdoor molds that can cause problems for sensitive people are due to Alternaria and Cladosporium species. The latter would be the ones found in carpets after a leaky roof has caused problems. 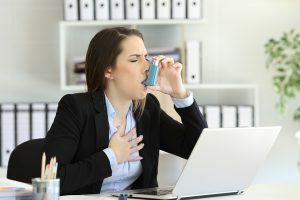 When the allergist has found specific allergies to one or several of the mold species, allergy shots may be prescribed that would have to be given weekly to the sensitive person who was found to have environmentally induced asthma. Often it takes several years for these desensitization shots to stop the affected person from reacting to molds. In some cases patients need to stay on these shots life-long. The key with regard to mold allergies is to prevent mold growth by being vigilant about detecting early problems with leaky roofs, walls and cleaning up water damage right away. When there is a musty tell- tale smell, investigate right away and remedy the problem. For most people this is the end of the story. However, a small percentage of very sensitive people need to consult with an allergist who should investigate whether or not these people would benefit from allergy injections. In some rare cases the affected person may have to relocate to another house that is free from molds. 2. Zacharisen MC, Fink JN: “Is indoor “mold madness” upon us?” Ann. Allergy Asthma Immun. 2005; 94:12-13. Environmental toxins are toxins that may be in your drinking water, in what you eat, in the air you breathe, or they enter your body through your skin when you swim in contaminated water or walk on a sandy, wet beach. 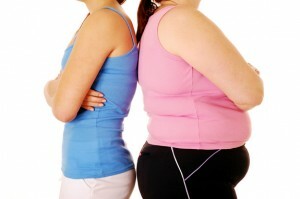 In the following blog I will address some of these issues and how we can defend ourselves against toxins. Toxins are particularly bad for infants and premature babies. The reasons for this are the following ones: their kidney function (tubular secretion) is only 20% to 30% of that of an adult; the cytochrome P-450 enzyme system in the liver, one of the toxin eliminators is slowed down to only 25% to 50% of the adult activity and glucuronidation in the liver, another detoxification process, reaches adult levels only at the age of 3 years. The kidneys and the liver are limiting the removal of toxins by way of urine and bile in the newborn. Stomach acidity in a premature has a pH of 4.7, in a full-term newborn 2.3–3.6 and in an adult 1.4–2.0. This is important to note as a lack of stomach acid increases susceptibility of newborns and infants to gastrointestinal infections and cause diarrhea. Percutaneous absorption in newborns is much higher than in adults, which makes them very susceptible to absorbing toxins through the skin (Ref.1). Environmental toxins can cause insulin resistance and type 2 diabetes. Bisphenol A (BPA) is used to make polycarbonate and epoxy resins and is found primarily in food and beverage containers. The world population has been exposed to this since 1957 and as a result 90% of US residents have detectable levels of BPA in their urine. Ref.2 explains that the higher the urine concentration of BPA, the higher the risk is for developing diabetes. Persistent organic pollutants are another source of concern: pesticides and herbicides, dioxins, polychlorinated biphenyls, hexachlorobenzene, and hexachlorocyclohexane have all been found in humans. Several investigators have shown that virtually all of the risk in obese patients to develop diabetes comes from the fat-soluble persistent organic pollutants (Ref.2). Inorganic arsenic is another pollutant that is found in soil and rock naturally and finds its way into the drinking water. About 8% of the public water system of the US exceeds 10 mcg/L for drinking water, which has been set as the safe limit for drinking water by the US Environmental Protection Agency’s standard. Anything above those levels is considered toxic.Ref.2 describes that people who ingest inorganic arsenic will excrete it in the urine; the highest group with arsenic in their urine had a risk of 3.58-fold to develop diabetes when compared to the lowest group. Curiously enough organic arsenic that is found in fish and shellfish is excreted in the urine unchanged and does not cause diabetes. Overall this indicates to me that nobody should consume or cook with contaminated water that contains inorganic arsenic. Reverse osmosis filters will protect you from this risk. Volatile organic compounds are often contained in carpets, but also in laser and inkjet printers. They are part of everyone’s life as this link shows. Varied symptoms like irritation of eyes, nose or throat, breathing problems, headaches, loss of coordination, damage to the liver, kidneys and the brain have been reported after exposure to volatile organic compounds. Long-term exposure can even cause cancer in animals and has been suspected to cause cancer in humans as well. Air fresheners and cleaning solutions that contain ethylene-based glycol ethers and terpenes have been the subject of a study that examined concentrations in the air and interaction with ozone that can also be released by some cleaners. As this link shows the investigators concluded that with exposure to high enough concentrations and long enough exposures to these fumes lung cancer can be caused in cleaning personnel. They recommended to use cleaning solutions only in diluted form and to air out the premises well after cleaning. Another component of many air fresheners and cleaning chemicals is paradichlorobenzene, the same chemical that is contained in mothballs. There have been problems with flame retardants: polybrominated diphenyl ethers, which are cancer producing; they have been outlawed in the US since 2004, but older mattresses, upholstery, television, computer casings and circuit boards may still contain them. Manufacturers were not allowed to use lead in paints anymore since 1978. Paint from buildings older than that still may contain lead. There have been serious lead poisonings in children who were gnawing on items painted with lead containing paint. Lead causes problems with your central nervous system, brain, blood cells and kidneys. Just last year a news story about lead found in fashion jewelry surfaced warning about cheap fashion jewelry from China. Lead form these items can be absorbed through the skin and cause lead poisoning. Because of the apparent lack of regulations in China it is my recommendation not to buy anything that goes into your mouth or on your skin, if it has been grown or produced in China. Mercury from tuna and other predator fish: It is sad that the oceans are polluted to the point where it has become unsafe to eat predator fish as there is an accumulation of mercury through the food chain. How did things develop this way? Back 100 years and more ago gold panning and the purification process of gold caused mercury to enter into rivers and allow mercury to end up in the oceans where it has since accumulated; it just sits there as it has nowhere to go. 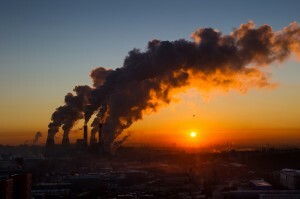 Coal burning (yes, there is mercury in coal) has also contributed to this by smoke being emitted from smoke stacks containing mercury vapors, which ended up returning to earth as polluted rain and drained through the river system into the oceans. It is monomethylmercury that accumulates in the tissue of humans. It affects many organs, such as the brain, kidneys, lungs, and skin. It causes various symptoms like red cheeks, fingers, and toes; there can be bleeding from the mouth and ears; it can cause rapid heartbeats, high blood pressure, intense sweating, loss of hair, teeth, and nails. It also can cause blindness, loss of hearing, impaired memory, and lack of coordination, disturbed speech and birth defects. You may think all mercury comes from the outside. However, silver amalgam fillings in your teeth could also be the source of mercury poisoning. It is a good idea to replace amalgam/mercury fillings with ceramic fillings. There are many forms of other marine pollution as this link shows. One particular concerning aspect is pollution with radioactive materials as the Fukushima disaster in Japan has shown. Following the catastrophe on March 11, 2011 there have been several leaks of radioactive material into the ocean, which are described here. Dr. John Apsley II pointed out that with the explosions in Fukushima there were also several releases of radioactive pollution into the stratosphere. This pollution has subsequently traveled around the globe and has come down as radioactive rain. He has made it his ambition to help people minimize radiation exposure from nuclear accidents such as Fukushima. Having said that pollution and toxins are problems that we are living with, how can we protect ourselves from all of that? 1. Avoid as many unsafe chemicals around you as you can. This includes checking ingredients in hair care and body care products, toothpaste, hair dyes, cosmetics, mouthwashes and underarm deodorants. I have written a blog about toxins in the bathroom and what you should watch for. 2. I would recommend you switch from a standard food to organic food. It has become unsafe to eat non-organic meats, leafy vegetables, vegetables and fruit. There are too many residues of herbicides and pesticides contained also in meat, not only in vegetables and fruit. Washing will not remove these substances, even though some merchants may tell you otherwise. Buyer beware! 3. Detoxification methods are available and I have reviewed them in this blog. Briefly, to remove lead and mercury a formal intravenous chelation protocol should be followed. Depending on how many heavy metal toxins you have on board, you may need only a few treatments or else up to 20. Here is a more conservative website stating that it would be safe to have silver amalgam fillings. I think that gold and ceramic fillings are much safer. 4. Genetically modified food is another danger as I have summarized in this blog. This is another reason why I like to stick to organic food. There is evidence that GMO food causes autoimmune diseases, infertility and chronic inflammation that can eventually lead to cancer. It may take decades to prove this, but I am not willing to be a human guinea pig. 5. I have mentioned in a prior blog that we live in a toxic world. You need to carefully look at your home and remove toxins. You need to assess your drinking water. A water analysis can tell you how good the water in your home is and whether there are concerns about inorganic arsenic. Usually places that sell filter systems can advise you in that regard. Your drinking water should either be bottled pure water or else reverse osmosis water that can be part of a filter system in your house. 6.Vitamins and supplements have been shown to support your cell integrity and have anti-inflammatory and antioxidant effects that protect you from toxins. I discussed this in detail in my NetHealthBook under nutrition. For instance vitamin D3 in doses of 5000 IU or more and CoQ-10 are powerful anti-inflammatories and CoQ-10 is also an antioxidant and preserves mitochondrial function. High fish oil supplements (3 to 6 Grams per day) have anti-inflammatory effects and protect your cell membrane integrity. With these overlapping qualities of vitamins and supplements your body will be in a much stronger position to defend itself against the negative effects of toxins. When you take multivitamins, this translates into telomere lengthening of 5.1% (or converted into a survival advantage of 9.8 years when it is accumulated over a life time). Ref. 4 explains this in more detail. 7. Exposure to radioactive substances is a scary thought, but this is becoming more and more a reality, at least for those who live close to disaster areas such as the Fukushima site in Japan or the Chernobyl site in the Ukraine. But according to Dr. Apsley II low dose radiation that we have already received in the US and in Canada following the Fukushima disaster is equally disastrous (Ref.3). Many of the vitamins and supplements I have mentioned are also cell and mitochondria protective and will help with DNA repair following radiation damage, but you must avoid sugar and other refined carbs and starches to reduce the oxidative effect on cells and on LDL cholesterol to prevent premature aging and cell death. Ref. 3 contains a lot more detail about this and explains what specific supplements can be taken to detoxify your system from specific radioactive elements that function as free radicals. There are specific antidotes for radioactive iodine-129 and iodine-131, radioactive cesium-137 and others. 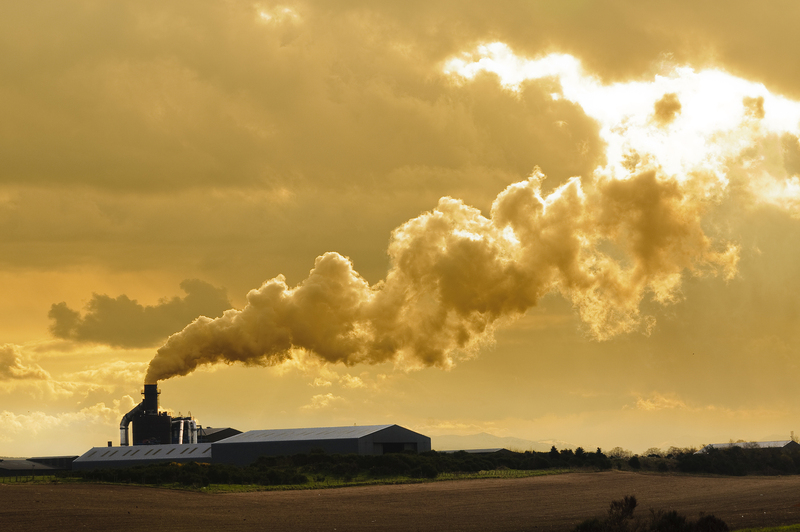 Many people shrug their shoulders when they hear that pollution has an effect on their lives. They feel that they are powerless and cannot do anything about this. The truth is far from this! Above I mentioned seven points that you can follow to counter toxins. On top of that you can get politically active and urge your government representative to create a nuclear free zone in your area. Ref. 3 contains compelling evidence why this is so important not only for us now, but for future generations and the future of mankind. We need to hold those who provide us with food and beverages accountable for the quality of these. Shrugging it off is not good enough. Get involved. Buy organic food. Avoid the section in the grocery store where sugar and high carb foods are sold. It’s good for your own health, but it will collectively change the mentality of the grocery store owners who will notice that they are stuck with the comfort foods that sold well in the past. This new trend will result in cheaper prices for healthy foods and more availability of organic food. 1. Shannon: Haddad and Winchester’s Clinical Management of Poisoning and Drug Overdose, 4th ed. © 2007 Saunders. Chapter 18:“Toxicologic Issues in the Neonate”. 2. Rakel: Integrative Medicine, 3rd ed. © 2012 Saunders. Chapter 31: “Insulin Resistance and the Metabolic Syndrome”. 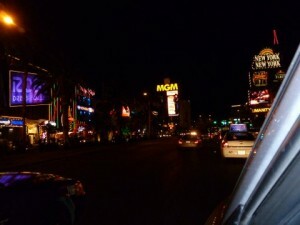 Here are impressions from the 21st annual world congress on anti-aging medicine (A4M) in Las Vegas. Every year in mid December Vegas hosts the world A4M conference (from the American Academy Of Anti-Aging Medicine). It took place at the Venetian/Palazzo Resort in Las Vegas, NV from December 13th to 15th, 2013. There were more than 3,500 attendees who participated in this yearly continuing medical education event in preventive and integrative medicine. Over 50 speakers reviewed various anti-aging topics including aesthetic medicine and stem cell topics. There was also a huge exhibition with over 300 exhibiting companies of health related products and books. I attended this conference to see what is new in anti-aging medicine. This is the focus of my interest since my retirement in 2010. Here are some highlights from the conference. I simply present a potpourri of snippets, all of which have some usefulness. Dr. Klatz pointed out that the A4M has been very active over the years in lobbying for making supplements more available to the public. In 1995 the A4M was defending melatonin as a harmless sleep aid. The FDA agreed to allow it to be freely available in health food stores. In 1996 DHEA followed this trend. The A4M exerted pressure on the FDA to allow the sale of Co-Q10 in health food stores. Co-Q10 is an important cardio protective supplement and it became available in health food stores in 1998. In 1999 the A4M stated in a public statement that insulin levels matter in obesity and diabetes. Newer research had confirmed this, and insulin is an important aging substance. Those who continue to have high fasting insulin levels, will age faster than the average population. But those who lose weight and exercise will reduce fasting insulin and will no longer age prematurely. The reason for this is that inflammation is the cause of high blood pressure and of cardiovascular disease. This means that heart attacks and strokes are due to the end stage of chronic inflammation in blood vessels. Reduce or eliminate fasting insulin, reduce inflammation in arteries and you eliminate the risk for heart attacks and strokes. In 2004 the A4M announced that stem cells could be an important treatment tool. It would allow to treat various end stage diseases so people could live longer. Since then this has become a huge specialty area. There was also a separate pre-conference workshop on stem cells. In 2009 the A4M announced that vitamin D3 was effective beyond bone health. Every cell in the body contains vitamin D receptors. Originally the recommendation was to use 400IU per day to fight rickets in infants. Now the guidelines have changed that 4000 or 5000 IU of vitamin D3 are necessary every day. This will take care of the multitude of normal body functions. People with the poorest lifestyles have the shortest life expectancy, 66.5 years in Native Americans of South Dakota. In contrast Asian American women in New Jersey with 91.8 years have the longest life expectancy in the US. It just so happens that in New Jersey most of the 26,000 A4M physicians are practicing. This may be one of the reasons for the impressive longevity figures. Dr. Katz suggested that we should recommend the following website to people: http://www.worldhealth.net/ This is the official medical news website of the A4M and deals with the latest health recommendations. Dr. Goldman added to this that the anti-aging industry is growing rapidly (0$ in 1991; 250 billion $ in 2012; an estimated 345 billion $ in 2018). He also emphasized that anti-aging treatment is only possible with early blood tests. They will detect any hormone or chemical abnormalities. It is possible to detect the beginning stages of any disease before permanent organ damage sets in. Only with early detection can effective anti-aging treatments be initiated. Prevention is always better than waiting for an emergency to occur. Unfortunately this is what is done in the conventional medical system. Dr. Mark Houston (Nashville, TN) talked about new and revolutionary concepts in treating and diagnosing hypertension (high blood pressure). Endothelial and vascular muscle dysfunction are now in the center of the researchers’ attention. The reason for blood pressure to get elevated is from a combination of inflammation, oxidative stress and autoimmune dysfunction of the vascular system. Decades before the blood pressure shoots up, there are vascular and heart abnormalities. 24 hour ambulatory blood pressure monitoring (24hour ABM) is the most reliable test for assessing blood pressure. Among other things a micronutrient test was suggested as this way a lack of magnesium could be detected. Too little magnesium in the blood has to be treated with magnesium citrate supplements. In terms of treatment it was interesting to note that diuretics and beta-blockers are no longer recommended, because of serious side effects. Instead of these medications the treatment of choice now are calcium channel blockers (Diltiazem etc.) and angiotensin II receptor blockers (Losartan etc.). This was the topic of Dr. Abraham Morgentaler, a professor of urology at Harvard Medical School. He went through various literature citations that showed that there is no relationship between testosterone or DHT (de-hydro-testosterone) and prostate cancer. In a New England Journal of Medicine publication Dr. Morgentaler has shown by doing extensive prostate biopsies on men with or without prostate cancer that testosterone treatment did not cause prostate cancer or make prostate cancer worse. He found that testosterone treatment invariably made men feel better, and they had more energy using testosterone. They also lived longer. He also debunked a recent JAMA publication from November 2013 that stated testosterone replacement would have led to increased heart attacks. He explained that he called the editor after calculating the raw data and coming to the conclusion that the authors had miscalculated and misrepresented the data, as the risks of heart attacks in men using testosterone were actually half of what the controls without testosterone replacement showed. However, the editor elected to keep the false data in the publication, which has caused confusion with the public and with the medical profession. Here is another rebuttal by Dr. Trutt who came to the same conclusion. Fact is and this is in agreement with many other medical publications in the US, Europe and around the world that testosterone replacement (with bioidentical testosterone) in a testosterone deficient man will cut the risk for heart attacks and strokes into half of what it would be if he did not replace with testosterone. However, only bioidentical testosterone will show this heart and brain saving effect, as there is a key/lock mechanism between bioidentical testosterone and the testosterone receptors of heart and brain cells and the testosterone receptors in the arterial walls. Suzanne Somers was the keynote speaker on the first day of the conference in a talk entitled “Our time has come”. Her books have greatly contributed to the popularity of the anti-aging movement in North America and around the world. She described how important it was for her to take charge of the health care in her own case and to explore alternatives to treat her breast cancer in the past. She allowed a lumpectomy, but she refused chemotherapy which conventional medicine wanted to force on her. Instead she changed her lifestyle completely as summarized in her books, particularly in “Breakthrough”. She also became one of the pioneers in the US to get the newly FDA approved mesenchymal stem cell/fat cell transplant done on the affected breast to restore the pre-surgical appearance. She made a plea to those who can afford it to bank their stem cells, which was later reiterated by Dr. Terry Grossman, MD whose lecture I did not review here. I noted this key sentence in Suzanne Somers’ speech towards the end: “I work prophylactically to take care of my health”. How often have I wished in the past that every one of my patients would have this attitude! Jim LaValle, an adjunct professor in the College of Pharmacy, University of Cincinnati has more than 27 years of clinical experience in the field of natural therapeutics and functional medicine. He mentioned that many people are toxic from a leaky gut due to faulty nutrition, which in turn will lead to heart disease and kidney disease. Once a patient has heart failure, a leaky gut will make the heart failure worse. Leaky gut leads to multiple autoantibodies, which causes various autoimmune diseases. He also stated that neuroplasticity in the brain can restore people’s brain after brain injuries or when autoimmune diseases have attacked the brain. Through lifestyle changes stem cells in the support tissue of the brain, called glia cells, can develop into neural progenitor cells, immature newborn granulocyte cells and eventually into mature nerve cells. In other words the same sequence that occurs in the embryo with brain maturation can also occur in adults. Researchers are only learning now how to approach this difficult subject. He pointed out that there has to be a balance between the gut, the brain and the immune system. As the gut is also an immune organ (Peyer’s patches) where Th1, Th2 and Th17 lymphocytes are produced, it is important to manage your gut through probiotics and through intake of organic foods to get away from anything that disbalances the gut/immune system/brain interaction. At the end he briefly touched on two important facts: zinc is a trace element that is important for prevention of a leaky gut as it keeps the cell bridges of the lining of the gut intact. However, when zinc levels are done on patients in the hospital setting, he found that patients are often deficient for zinc, but they are responding very rapidly to zinc supplementation. Stress, which causes high cortisol levels leads to lowered endurance, autoantibodies and allergies. By checking other hormones, which need to be in balance with cortisol the caregiver can recognize what is wrong with a patient and help restore the hormone balance with bioidentical hormones. This will also take care of the leaky gut, the autoimmune diseases and improve asthma in a person who has allergies. William Andrews, PhD has worked in the biotech industry for 28 years and had obtained his Ph.D. in Molecular and Population Genetics at the University of Georgia in 1981. In the last 15 years he has focused on finding ways to extend the human lifespan by interfering with telomere shortening in human cells. He shared some interesting facts with the audience: reproductive cells do not age and their telomeres stay long. In order to age gracefully it helps to know the length of your body’s telomeres. Dr. Andrews recommended using the HT Q-Fish telomere test, which is a genetic test that gives an average of the telomere status of your body. This test will determine the %-age of short telomeres in the body, which is what is most informative about your biological age and your average life expectancy. There are several methods that are useful to know, which lengthen your telomeres: exercise, omega-3 fatty acid supplements, vitamin D3 in higher doses and not smoking are all known to lengthen your telomeres. Astragalus, a Chinese herb and extracts (expensive!) derived from this plant have also been shown to increase the length of telomeres. Other factors that help to preserve the length of your telomeres are reducing stress (yoga, meditation, enjoyable music), weight loss through a ketogenic diet, reduction of depression (rebalancing brain hormones), reducing pessimism, and being happy. Did you know that lobsters are blessed with ubiquitous telomerase expression? As a result they turn over 100 years. Humans are not so lucky, but we have access to simple steps that are protecting our telomeres! Dr. Andrews’ company has searched for telomere elongating substances. Through testing of 39 families of chemicals that are stimulating telomerase to elongate telomeres, he found a few that work. However, the main first step should be to concentrate on restoring the diet of our distant ancestors that gave us our genetic make-up. He stated that the Western diet is the worst contributing factor for telomere shortening. The macro and micronutrient difference between our ancestral diet and the modern diets have caused diseases like high blood pressure, heart attacks, stokes, obesity, diabetes, insulin resistance, dementia and cancer. Our modern diets (particularly the high carb/low fat diets) have increased oxidative stress in our bodies from increased reactive oxygen. This reduces our antioxidant reserves. It leads to malfunctioning of the endothelial lining. Other contributory factors are the overfeeding with omega-6 fatty acids from processed foods and cooking oils(such as corn oil and soybean oil and others.). These food infractions lead to a relative lack of the key vitamins A, D, E and K2 that are important to maintain cell function. Dr. Mark Rosenberg gave a talk about this topic. He has been involved with drug research in an attempt to elongate telomeres since 1991. This lecture reinforced what Dr. Andrews has said. However, he added a few aspects that are important to mention: “aging promotes aging”; in an aging person there are more circulating free radicals that undermine your health. So it is important, particularly for an older person to take anti-oxidant supplements to stop free radicals from aging you even faster. Dr. Rosenberg has done a lot of research with cancer cells. He noted that the circulation in a cancer or in metastases from cancer is very poor, which is the reason why chemotherapy often does not reach the cancer cells. But he also found in the literature and in his own clinical experience that patients with low LDL cholesterol have increased cancer susceptibility. Dr. Rosenberg mentioned that this was a new paradigm. I have recently discussed this in detail in a previous blog. Briefly, LDL cholesterol is the transport form of cholesterol going from the liver to vital organs like the heart or brain. When LDL is oxidized by free radicals from eating too much sugar and starchy foods that are metabolized into sugar, cells are starved of nutrients and oxygen. This sets the stage for cancer cells to develop, which have a metabolic advantage of being able to produce energy by glycolysis rather than by the aerobic metabolic pathway. Smoking and alcohol consumption shorten telomeres and this makes the person more prone to developing cancer. On the other hand telomerase treatments have been shown to NOT cause cancer, which was a false belief in the past. At this point it is lifestyle changes that are needed to reduce the using up (aging) of telomeres. Resveratrol, vitamin D3, and astragalus all seem to contribute to lengthening of telomeres. The next few years will likely bring more news about this. Another happening later in the conference was the appearance of California’s 38th Governor, Arnold Schwarzenegger. He received the highest honor of the A4M, the 2013 INFINITI AWARD for his leadership role of funding and supporting stem cell research in California. Each A4M conference seems to have something new to offer every year. There were many other things that I learnt, but in my mind the topics I summarized above stood out from the rest. telomere lengthening by vitamins, minerals and supplements: http://nethealthbook.com/health-nutrition-and-fitness/nutrition/vitamins-minerals-supplements/ In this review I am mentioning a large Chinese study that proved telomere lengthening with vitamin C and E, but no other vitamins. Other vitamins are still needed as antioxidants to prevent cancer and hardening of arteries. If you are like most people, you probably still think that “healthy grains” like wheat are good for you and are “essential for a well balanced diet”. Ever since Kellogg’s introduced cereal for breakfast and the bagel was invented as a mid morning snack, which has captured the tastes of millions, the Agro Industry and the food industry have lobbied to have “healthy grains” in the food pyramid or on your plate. The very thought of “the daily bread” is deeply ingrained in our culture. Other agencies like the Heart Foundation, the Academy of Nutrition and Dietetics (formerly “American Dietetic Association“) and the American Medical Association have reiterated this statement over and over until both the public and physicians accepted this as the truth. However, the scientific data does not support this point of view! It has been a myth! We are gradually learning that there has been a big misinformation campaign going on as far back as 1984 (and before) when a consensus panel came up with revised normal values for cholesterol and we as the medical profession were told (myself included) to treat high cholesterol levels much earlier and more aggressively than in the past with statins. Big Pharma is still pushing for this. Now that I am retired for more than three years I can freely write about what is really going on. The truth has already leaked out, but it is not yet common knowledge. I like to review the switch from the old school of thought that a high carb/low fat diet would be healthy to the new school of thought that a low carb/high healthy fat diet is healthy. Before you panic, sit back, relax and read what I am saying. It was the Framingham Study, which is an ongoing study since 1948 where a large group of people was followed for decades to sort out what causes heart attacks and strokes and how one could develop a program of prevention. This objective at the beginning of the study was very noble and promising. However, as time went on the results from the Framingham Study that were published intermittently appeared to be more and more confusing. First there was the lipid theory that was based on the observation that high lipids (called triglycerides) and high cholesterol in the blood would cause heart attacks and strokes. It was assumed that it must have been the fats in the diet that would have caused this. Based on this thinking the lipid theory of arteriosclerosis was formulated, a theory trying to explain how heart attacks were caused. If this theory were true, a lowering of the blood lipids and cholesterol should have lowered the rates of heart attacks and strokes. Many large trials were done and the statins were developed to lower cholesterol. In a recent blog I have explained that this has not lowered the mortality rates from heart attacks and strokes, but instead of admitting that the researchers made a mistake, many are still doggedly holding on to the dogma of the lipid theory. The truth is that the lipid theory has not been proven to be true; the recommendation of a high carb/low fat diet has also not worked out to save lives by preventing heart attacks and strokes. In fact the opposite is true: older people with high cholesterol live longer and have less Alzheimer’s disease than those with lower cholesterol levels in the blood as Ref. 1 has explained in detail. Dr. Perlmutter mentioned a study from the Netherlands (Ref. 1, page78) involving 724 individuals who on average were 89-year old that were followed for 10 years. Those with high cholesterol lived longer than those with low cholesterol, exactly the opposite of what the lipid theory predicted! Specifically, for each 39% increase in cholesterol there was a 15% decrease in risk of mortality. Think about it: the brain and the heart have LDL receptors on their cell surfaces for a reason. The reason is that both vital organs burn fat and need cholesterol to build up the membranes of the brain and heart cells. Despite this compelling evidence Big Pharma is in denial and you will still find the lipid theory of arteriosclerosis heavily mentioned on the Internet as the only “valid” explanation for how heart attacks and strokes would be caused. Since the mid 1990’s the first reports surfaced to explain that about 50% of patients with normal cholesterol levels still develop heart attacks. In these patients the C-reactive protein, an inflammatory marker, was very high indicating that an inflammatory process likely caused their illness. Subsequently further research was able to show that the LDL cholesterol, when oxidized by sugar was responsible for clogged arteries in these patients. It also became apparent that diabetics have a much higher risk to develop heart attacks than patients with normal blood sugars. This led to the conclusion by several different research teams that the lipid theory was wrong and needed to be abandoned. Instead a new theory has developed that explains that heart attacks and strokes develop in patients where free radicals have damaged LDL cholesterol. This oxidizes LDL cholesterol and leads to hardening of the arteries (arteriosclerosis). Sugar from increased carbohydrate intake has a lot to do with this: it leads to glycation of protein causing glycation end products (abbreviated as AGE’s). This is an appropriate name as it really is the cause of premature aging, of developing wrinkles, of getting premature hardening of arteries and having a 50-fold risk of free radical formation. This in turn will lead to more tissue aging. LDL used to be thought of as the “bad cholesterol” (I myself have used that term in the past). LDL is now known to be the friendly and important transport form of cholesterol, which is sent from the liver to the brain and heart cells that need it for their metabolism. If LDL is oxidized, however, it becomes useless and the heart and brain cannot absorb cholesterol for membrane synthesis via the LDL receptors. The end result is that vital organs like the heart and the brain do not get enough oxygen and nutrients, which leads to heart attacks and strokes. The free radicals that are released from oxidized LDL cholesterol and that circulate in the blood cause an inflammatory response in the lining of the arteries all over the body, which you know as hardening of the arteries (arteriosclerosis). This may sound complicated, but all you need to remember is that sugar and starch consumption lead to accelerated hardening of arteries in your body, which causes heart attacks and strokes. The above-mentioned research findings require a complete re-thinking of what a healthy diet would be. The villain turned out to NOT be saturated fat (meat, eggs, butter and avocado), but rather TRANS fat (margarine, hydrogenated polyunsaturated fatty acids) and I agree with the FDA that this should be abolished. Trans fat is full of free radicals oxidizing LDL cholesterol, which we just learnt is causing hardening of arteries. It is sugar and starches that turned out to be the main villain. Omega-6 fatty acids, found in safflower oil, sun flower oil, grape seed oil and canola oil are bad for you also as they lead to inflammation through the arachidonic acid system in the body. Conversely flaxseed oil, omega-3 fatty acids (EPA and DHA) derived from fish oil are very protective (anti-inflammatory) oils, as is olive oil and coconut oil. These latter two are anti-inflammatory monounsaturated fatty acids. Keep in mind that you want to change the ratio of omega-3 to omega-6 fatty acids more in the direction of omega-3 fatty acids, so that the ratio will be between 1:1 and 1:3. Most Americans are exposed to ratios of 1:8 to 1:16 (too many omega-6 fatty acids in fast food and processed foods), which leads to inflammation of the arteries as well. The new “heart and brain healthy diet” consists of no refined carbohydrates (sugar and starch), but about 45% complex carbohydrates (organic vegetables like broccoli, spinach, cauliflower, Brussels sprouts, peppers, onions, garlic, peppers, Swiss chard, zucchini, asparagus etc. ), 20 % protein and 35% saturated and other fats like omega-3 (1:3 mix with omega-6) fatty acids and monounsaturated fats (like olive oil or coconut oil). According to Ref.1 you can even eat butter, lard and other animal fats provided they come from clean (not antibiotic or bovine growth hormone treated) animals. Dr. Perlmutter (Ref.1) points out that even extreme diets like the Inuit diet with 80% saturated fat and 20% protein leads to longevity with healthy arteries. The patients who died in the many trials including the Framingham Study did so, because of free radicals from sugar, starch and wheat. Wheat contains the addictive gliadin molecule (part of gluten), which makes people eat more sweets and starchy foods. The liver turns the extra calories into visceral fat deposits that in turn cause the release of cytokines like tumor necrosis factor alpha (TNF alpha) and COX-2 enzymes. This causes inflammation, heart attacks, strokes and cancer. Contrary to what Big Pharma wants you to know cholesterol is an anti-inflammatory, LDL is a cholesterol transporter (provided it is not oxidized) and HDL is protective of hardening of the arteries as long as the “ratio of total cholesterol to HDL cholesterol” is less than 3.4 for males and 3.3 for females. This is the cholesterol risk ratio used by cardiologists to determine the risk of coronary artery disease. The average risk of this ratio for Americans is 5.0 for males and 4.4 for females. The ideal ratio to strive for is the “1/2 average risk” ratio of 3.4 for males and 3.3 for women (Ref.2). As pointed out in Ref. 1 there has been a paradigm shift in our thinking about what causes inflammation and what causes all of the major diseases including premature aging. Many physicians are not up to date in this new thinking although it has been in the medical literature since about 1995. In my colleagues’ defense I like to say that they are busy people and they do not always have the time to do their continuing education. However, it is imperative that the public learns about this paradigm shift as it affects literally everyone. 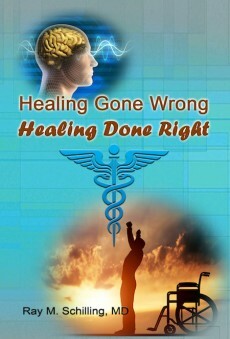 In my YouTube video on the home page of www.nethealthbook.com I have talked about this new thinking in the summer of 2012. Now we are learning that there is an anti-inflammatory, cholesterol containing, fat rich diet without refined carbs, but containing ample complex carbs, which is a modified zone diet or a modified Mediterranean diet that will prevent all these diseases. At the same time it is a weight loss diet as cholesterol and fat in your diet stops the liver from producing lipids and triglycerides and helps you to lose weight. Critics will say that it sounds too good to be true, but I agree with Dr. Perlmutter and Dr. Davis, both of whom have provided ample evidence that it is true. Try some of their recipes. Just read Ref. 1 and 2, where recipes are listed in the back part of their books. Or try the recipes I listed for one day in this blog. 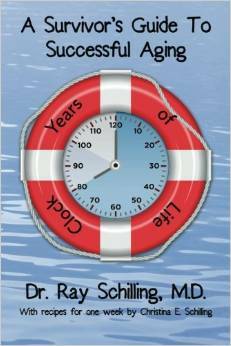 I am publishing a book entitled “A Survivor’s Guide To Successful Aging” through Amazon.com, which will come out later in early 2014 where you can find recipes for 1 week in the last chapter. There has been a paradigm shift in the thinking of how hardening of the arteries is caused. Now it is known that an inflammatory process causes it. It is an overindulgence in sugar, starch and wheat products that causes the liver to produce lipids, cholesterol and leads to the “wheat belly” and the “grain brain”. All of this causes cytokines to bring about an inflammatory reaction that affects the lining of arteries causing heart attacks, strokes, but also Parkinson’s disease, MS, autism, asthma, arthritis, epilepsy, Lou Gehrig disease and Alzheimer’s disease (Ref.1). The inflammation does not stop there. If you keep up the high carb/low fat diet, it will lead to various cancers (Ref. 1 and 3). The solution is a diet high in healthy fats (I would call it a low carb/medium high healthy fat diet) as outlined above consisting of 30 to 35% healthy fat, 20% of protein and 45 to 50% of complex carbs, but none of the refined carbs. I have followed such a diet since 2001. I am enjoying that I can now eat a reasonable amount of healthy fats, which I was not aware of being allowed before I read Ref. 1 and 3, but I continue with the antioxidant vitamins and anti-inflammatory supplements to prevent LDL oxidization. I hope that many of you can benefit from prevention so you can enjoy a healthy life without being a victim of illness or disability. 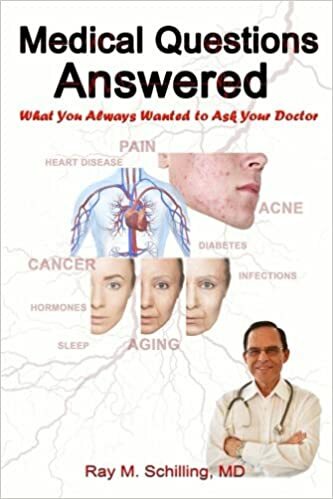 2. paradigm shift regarding hardening of the arteries: My book “A Survivor’s Guide To Successful Aging: With recipes for 1 week provided by Christina Schilling” explains the content of this blog in much more detail. 1. David Perlmutter, MD: “Grain Brain. The Surprising Truth About Wheat, Carbs, And Sugar-Your Brain’s Silent Killers.” Little, Brown and Company, New York, 2013. 3. William Davis, MD: “Wheat Belly Cookbook. 150 Recipes to Help You Lose the Wheat, Lose the Weight, and Find Your Path Back to Health”. HarperCollins Publishers LTD., Toronto, Canada, 2012. In early 1900 lung cancer was unheard of. This was before the cigarette industry started to mass-produce and market cigarettes. However, ever since the arrival of the industrial revolution air quality has suffered. In China poor air quality has now reached such enormous values that the specialized cancer agency of the World Health Organization, the International Agency for Research on Cancer (IARC) has labeled poor air quality as one of the causes of lung cancer. When you rank countries by average air pollution measurements, one sees that Europe, the US and South America overall have good ratings, whereas the Middle Eastern countries, China and India have poorer ratings. However, when the pollution index of cities where the population is much denser than in the countries at large, are tabulated a much different picture emerges: Cities in Iran, India and Pakistan stand out as particularly bad followed by cities in China, Eastern Europe, Paris, London, Berlin, cities in California (the populous State), Chicago and New York. Pollution does not stay local, but travels through the stratosphere around the globe. The result is that now 10 to 15% of lung cancer in the US occurs in patients who never smoked. This translates into 16,000 to 24,000 deaths annually of never-smokers in the US. 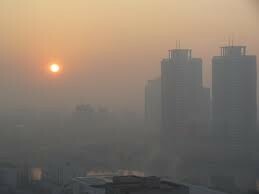 In certain cities such as Beijing the lung cancer rates have doubled in 9 years between 2002 and 2011. As this article shows lung cancer in never smokers can be caused from exposure to radon, to second-hand tobacco smoke, and other indoor air pollutants can also cause such cancers. But the outdoor air quality has been a problem ever since the industrial revolution, which started around Europe in the 1800’s and first part of the1900’s. In the latter half of the 1900’s much of the industrial wave has migrated to the Middle East, to India and China. But the air quality of the whole world has suffered as the jet stream and other air currents carry pollution in the stratosphere all around the globe. 1. In Germany’s Ruhr district (“Ruhrgebiet”) in North Rhine-Westphalia, a highly populated industrial area, pollution reached a peak in the late 1950’s. From 1963 onward many of the coal mines, iron ore mines and other mineral mines closed down. 50 years ago the German Chancellor, Willy Brand was concerned about the environment and promised that blue skies would return to the Ruhr district again. A special task force was initiated and maximally allowable limits were established for industries’ pollution emissions and enforced by the German government. Government and industry were co-operating in developing anti-pollution measures, which have cleared up a lot of the pollution since. With regard to car emissions lead free gasoline was introduced and carburetors ensured more complete burning of exhaust gases. This is now common and accepted anywhere except for diesel fume exhaust, which nobody wants to address despite proven carcinogenicity. Now Germany is one of the leaders in green technology, which is also important for tourism. 2. England has its own legacy of pollution in soil and air from the industrial revolution. The soil of moorland, which soaked up acid rain for decades, is more acidy than lemon juice and it will take a long time despite industrial complexes having closed long time ago, before the soil quality will be returned to normal. 3. Hamilton in Ontario/Canada has had a longstanding pollution problem, which I witnessed from 1976 until my departure in 1978. It is well known that Stelco, the local steel plant downtown Hamilton is sending polluting emissions into the air. In 1976 a vising professor from Australia gave an interesting talk about a study that was done at that time regarding the risk of developing bronchogenic carcinoma (a synonym for lung cancer) in the immediate surroundings of the Stelco plant. He said that this was one of the first studies to show that the distance of people’s houses from the source of pollution mattered as that determined how concentrated the air pollution was (the closer the more polluted the air). This affected cancer rates: they were much higher in the immediate surrounding of Stelco when compared to the average rate in the rest of Hamilton. This difference was very significant within a radius of 1 kilometer (= 0.62 miles) from the Stelco plant. Just in May of 2013 the local cancer agency of Hamilton announced that the lung cancer rate in Hamilton was higher than elsewhere in Ontario because of a combination of poor air quality and of a higher percentage of people smoking. Then in August 2013 the city of Hamilton announced a new air pollution bylaw for stricter pollution measures to improve the air quality in the downtown area. It is just a pity that Hamiltonians had to wait until 2013 before the city approved an anti-pollution bylaw that could have been passed 50 years earlier like in Germany’s Ruhr district! 4. In 2008 Pittsburg, a former steel manufacturer town like Hamilton, Ont. outdid Los Angeles with regard to small particle air pollution. As mentioned before up o15% of lung cancer is caused by environmental exposure. So, we ourselves can only prevent 85% of lung cancer by not smoking and not exposing ourselves to industrial emissions or to smoke from incense. However, in many cities around the world you will get exposed to air pollutants that are well above the safe limits, so the risk of getting lung cancer from just breathing the air there can be much higher than in rural areas where there is no industry. Technologies to control air pollution are widely available. We need to exert pressure on politicians to show leadership around the world. Government regulations to lower emission rates need to be put into place and inspectors need to ensure the rules and regulations are adhered to. Without reducing emissions of cancer producing gases and chemicals right at the source (open burning of cuttings in orchards or burning cut trees), cutting emissions of cars, planes, ships, diesel cars, locomotives, electric generator plants etc. the air quality will not improve. Despite some costs involved industry, governments and individuals have to work together to make clean air happen. The residents of those countries that have low pollution values will not benefit, if pollution continues to occur in other parts of the world as it just travels in the stratosphere around the globe until it arrives right here at home! We need an international pollution police. Satellites can be used to monitor where pollution occurs and this can be followed up through the local regulatory bodies with penalties and remedial actions. What can I do personally to prevent lung cancer? 1.The most obvious step is to quit smoking and ask smokers who come to your place to smoke outside (not in your home). 2.Consider moving away from the city, if the air quality is unacceptable to a place where there is low air pollution. 3.Vitamin D3 has been shown to prevent colorectal cancer, but as there are vitamin D receptors found on the surface of various cells in tissue around the body including the lungs, many researchers feel that this vitamin in higher doses (2000 IU to 5000 IU) has probably a wider applicability in preventing cancers, even lung cancer. 4.Cutting out sugar and adopting a Mediterranean type diet is a prudent thing to do; also cutting down your calories to the maintenance you need (mildly ketogenic diet). If you bought body composition scales, it would display what your daily calorie consumption is and you should not exceed this, or else you’ll gain weight. An aging man who is overweight will experience hormone changes as fat is being metabolized and the enzyme aromatase contained in fatty tissue will turn male hormones (testosterone, DHT, androstenedione) into estrogen. Estrogen (particularly estradiol) is a known carcinogen that has been proven to cause breast cancer in women and prostate cancer in men. However lung cancer is also being promoted in women by estrogen as discussed in this link. In men one needs to remember that lung cells have estrogen receptors and there is concern in aging men with higher estradiol levels that this can promote cell divisions in existing lung cancer. So, it is important to maintain a normal body mass index between 21 and 24 (well below 25.0 and well above 18.5, which are the official accepted limits). This way there is no problem with insulin resistance (too high an insulin level), and other metabolic substances (cytokines, growth hormone like factors and tumor necrosis factor-alpha from body fat) that are cancer promoting. 5. If testosterone deficiency is present, which is common in older men, testosterone will have to be replaced with bioidentical hormones. It is a myth that testosterone would cause prostate cancer. Testosterone in males is necessary to maintain a normal metabolism including the immune system, which then can fight lung cancer and any other cancers. 6. Exercise and reducing beef consumption are also often mentioned in terms of preventing lung cancer. 7. Here are several recommendations from the LifeExtension Foundation that I found very useful in terms of lung cancer prevention. This link shows that antioxidant vitamins such as vitamin C, alpha tocopherol, the minerals selenium and zinc are also helping to reduce the lung cancer rate. Drinking green tea has also been shown to be effective in a dose-response curve manner (more tea protecting more from lung cancer). Vitamin B12 and folate have been shown to reduce abnormal bronchial cell growth in smokers as shown by repeat bronchoscopy studies. 8. Those who have been smokers in the past and those who have been around heavy smokers for more than 10 years in the past should consider having a preventative bronchoscopy done by a lung specialist (also called respirologist or pulmonologists). This way any suspicious areas with precancerous lesions can be biopsied during the procedure and attended to. Lung cancer is a disease that is best prevented. Once a person gets lung cancer, the prognosis is still very poor. However, cancer researchers are getting close to newer treatments involving genetically modified T-cells (killer cells) as was recently achieved for leukemia. Similar research is going on regarding ovarian cancer, melanoma, lung cancer and pancreatic cancer. It is not acceptable to let pollution take its course , the way politicians around the globe have handled this in the past 6 decades with a few notable exceptions mentioned. We all suffer a higher risk of getting lung cancer, even if we have been life-long non-smokers. Right now up to 15% of lung cancer in most populations are of this type. However, in Beijing this number is already much higher. The technology is available; Germany has led the way in the Ruhr district in the 1960’s and beyond. In my opinion the G8 meetings should have this high on their agendas and send technological aid to all the regions that have higher than the average world pollution index under the mandate of a special UN commission. This should be supported by the major industrial players with the knowledge that they will prevent the death of millions of potential consumers down the road, which will on the long-term pay off the relatively minor investment of installing pollution controls, before lung cancer levels rise even more. A new study was recently released that showed that a significant number of people without multiple sclerosis have narrowing of their neck veins. There is a new theory that chronic cerebrospinal venous insufficiency due to narrowing of veins outside the skull may be responsible in causing MS in a significant percentage of patients. Using venograms in MS patients and in controls without MS a recent study from the University of British Columbia, Vancouver, BC showed that normal controls also had narrowing of neck veins and the authors felt that this invalidated the vascular theory of MS. This story is based on this Lancet publication. What was not mentioned in this publication was that venous blood flow on the surface of the brain can get obstructed inside the skull. It’s all about brain tissue oxygenation; if the brain gets enough oxygen, all is well. If there were a lack of perfusion due to venous congestion inside or outside the skull, the patient would be in trouble. I will discuss this further below. In this blog I will discuss first how MS is diagnosed, then mention some newer studies where circulation has been investigated using SPECT scanning. I will then review various causes of MS that have been established and armed with this knowledge return to a discussion of the Vancouver study mentioned above. MS is diagnosed by a combination of tests. This will include the patient’s symptoms such as balancing problems, double vision, memory problems, fatigue etc. Neurological examination, imaging studies like MRI scanning, lumbar puncture to examine the cerebrospinal fluid and evoked potential studies would be what a neurologist would order. All of these findings are considered when deciding whether the criteria for making a diagnosis of MS have been fulfilled. In 2001 an international neurological panel developed the McDonald criteria for diagnosing MS, which were revised in 2010. One of the newer functional scans is a SPECT scan. It shows areas where there is a lack of blood supply to the brain, but can also identify areas where too much blood circulates. Here is a site where the technique of the SPECT scan is reviewed in more detail. SPECT scans in MS patients showed a significant reduction in blood flow to the frontal lobes and to the left temporal lobe. Reduced activity of the left temporal lobe on SPECT scans correlated with MS patients having a deficit in verbal fluency and having a problem with verbal memory. This would indicate that reduced blood flow to these areas of the brain is associated with developing MS.
Perhaps a SPECT scan of the brain (which is where the action of MS is) may be a better indicator for MS than looking for veins in the neck by ultrasound or venograms, as SPECT scans look directly at brain perfusion. The question is whether these blood circulation problems in MS patients may cause deficiencies in the brain of oxygen, nutrients and possibly of other internal mediators. There are a number of known causes of MS, which I will review below. As this link shows, MS is a disease due to inflammation of the brain. The area where there is inflammation leads to demyelination from loss of the myelin sheaths, which causes the white lesions visible on MRI scans of the brain. One such cause is an allergy to wheat and wheat products. Gliadin antibodies and anti-tissue transglutaminase antibodies were positive in a significant number of MS patients, but not in controls. This suggests at least in part that immunological causes are at play. I agree with this blog that describes that there is significant evidence that gluten intolerance can lead to MS and the positive tests that were found by researchers are likely just the tip of the iceberg. Dr. William Davis describes in Ref. 1 and 2 that you can have celiac disease with no gut symptoms, in other words a person can develop autoimmune symptoms from gliadin and gluten sensitivity without diarrhea or bowel cramps. Dietary lectins, particularly the ones found in wheat lead to leaky gut syndrome and subsequently to autoimmune diseases. 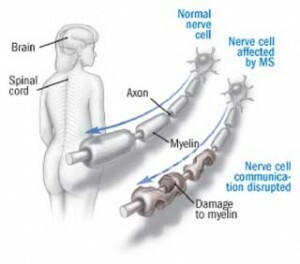 One of these autoantibodies can be directed against the myelin sheath, which can cause MS. In a mouse model Mayo Clinic researchers have shown that an antibody injection can be used to block autoantibodies against the myelin sheath. Investigations are ongoing with regard to whether this type of treatment would work in humans as well. It is known that a human leukocyte antigen (HLA -DRB1) is associated with the risk for developing MS. It is found more commonly in Caucasians who have a higher risk of developing MS. Another genetic factor is a variation of the IL7R gene, which is also discussed under this link. On average the risk of getting MS in the general population is about 10 to 20%. It has been described that vitamin D3 levels when obtained from in MS patients are low. Vitamin D3 can prevent against MS to a certain degree, so does sun exposure. In countries where malnutrition is common, MS occurs more often. According to Dr. Terry Wahls who is a clinical professor of medicine at the University of Iowa Carver College of Medicine, a diet of vegetables, fruit, meat, no grain, no dairy, no sugar, no corn and no potatoes can cure MS. Dr. Wahls herself had severe MS in the past and cured it with the help of this diet! Certain infections can cause MS. Probably the best correlation was found between the mononucleosis virus (Epstein Barr virus) and the later development of MS. According to Dr. Zamboni from Italy clogged veins in the neck can cause MS. Dr. Zamboni found that about 50% of MS patients get better when stents are placed into narrowed neck veins, which allows the blood from veins around the brain to drain normally. This could improve brain circulation in the areas described above where SPECT scans detected a lack of blood supply to certain parts of the brain. It is important to note that certain areas of the brain were not circulating blood as well as others when SPECT scans were used to depict blood circulation of the brain. The fact that 50% of patients with chronic cerebrospinal venous insufficiency get cured from MS with simple venous stent procedures is remarkable. Sure, the Vancouver researchers (who are heavily sponsored by Big Pharma) found that normal controls also have a significant amount of venous abnormalities in their necks, but this does not explain the successes in those MS patients who got better with a simple venous stunt procedure. Without doing SPECT scans on both the control groups and the experimental MS groups before and after stent procedures we do not know whether the brain circulation following stent procedures improved or not. However, this is what I would have expected to see. In other words more research needs to be done by other investigators to show whether or not the surgical stents in those who are helped by the surgical procedure have been helped because of a normalization of their brain circulation. Our knowledge regarding MS is getting more multifaceted as new research is emerging. Diet appears to be a major contributing factor, as vitamin D3 is essential for normal brain function and for a normal immune system. At the same time grains and wheat have been identified as causing MS in a subgroup of patients (through developing leaky gut syndrome and subsequently autoimmune antibodies). Avoid the foods Dr. Wahls described as being causative in developing MS and you can improve MS remarkably or get cured. The same is true for avoidance of wheat and wheat products as Dr. Davis described. In my opinion not every MS patient will benefit from a stent, but not every MS case is caused by vitamin D3 deficiency or by having had mononucleosis in the past. We simply do not have all of the answers yet. But we do have enough information to thoroughly investigate MS patients; the treating physician will then use clinical judgment to decide which treatment would be the most suitable one for an individual MS patient. 2. William Davis, MD: “Wheat Belly. Lose the Wheat, Lose the Weight, and Find Your Path Back to Health”. HarperCollins Publishers LTD., Toronto, Canada, 2011. In the US 1.5 million suffer from peanut allergies (Ref.1). People who have peanut allergies have to avoid peanuts and foods that contain even traces of peanuts lifelong. Here is a recent example of a 13-year old girl who died at a camp when she tried food contaminated with peanuts. Before we discuss peanut allergies in detail, we need to review first how the immune system is functioning. Our immune system knows the difference between our own body components and substances that come from the outside. Scientists call this tolerance to our own surface proteins; and scientists call it an immune reaction that is mounting as a reaction to anything different from the surface antigens. There are different cells that make up the immune system. One of the main working cells of the immune system are the lymphocytes, with B cells originating from the bone marrow producing antibodies when an immune reaction occurs. Antibodies fit like a lock and key to the surface of an antigen, in this case the peanut protein. T helper cells are T lymphocytes (thymus derived lymphocytes) that help the B cells to recognize the difference between the own protein components and the outside components. There are also T killer cells, which get activated when parasites or viruses enter the body. With regard to peanut allergies it is the B cells and T helper cells that interact and the B cells produce a powerful, very specific IgE antibody directed against peanut protein. There are memory B cells, which continue to produce these specific anti-peanut protein antibodies and cause severe allergic reactions when future exposure to peanuts (even traces) occurs. So, the more often a person who is allergic to peanuts encounters even traces of peanuts, the immune system will get boosted and produce even more antibodies of the IgE type through reactivated B memory cells (Ref. 2). 98% of the population does not react to peanut exposure with allergies, but the other 2% who may have genetic susceptibility factors that predispose them to this often develop life-threatening reactions (an anaphylactic reaction). What is an anaphylactic reaction to peanuts? The most extreme form of allergies involving IgE antibodies can cause anaphylaxis. In the beginning stages of a peanut allergy there may only mild symptoms such as hives on the skin, itching and tingling around the mouth, a runny nose, a scratchy throat, wheezing, stomach cramps, vomiting or diarrhea. However, with a more severe allergy an asthma attack can develop, blood pressure drops leading to fainting or shock and severe airway obstruction in the throat or lungs can cause suffocation. I vividly remember an 11-year-old boy who was brought in by ambulance to the emergency room of the hospital where I was working as the on-call physician. He had a hard time talking as his throat was swelling up as part of his anaphylactic reaction, within minutes he passed out completely (shock). Fortunately an anesthetist was in the department and could intubate him very quickly. However, despite adrenaline treatment, oxygen by artificial ventilation and high doses of corticosteroid drugs he did not wake up until 10 hours later. In retrospect it turned out that he had eaten some crackers of a familiar brand that he knew as being free of peanut flour. However, he had seen an ad that the same brand of crackers was available as cheese crackers and he tried one of these, which prompted his admission to the hospital. The parents read the ingredients later: the label on the cheese crackers noted in small print that the flour of the cheese crackers contained peanut flour! Always read labels, even if it is a familiar brand! Fortunately for this boy he did not have brain damage from the time of his unconsciousness. He has been extremely careful since and is reading labels and avoiding unknown food items. Allergies can be made worse when a person has inhalant allergies from pollens of trees or grasses that can share protein components from protein found in foods. The latest findings are that there are cross allergies between Fenugreek and lupine, which are both legumes, as are peanuts, so there are common antigens present in their proteins. A mouse-testing model has shed more light on this. Fenugreek has been shown to control mild diabetes by improving insulin resistance, but it cannot be consumed by persons who are highly allergic to peanuts because of the cross allergy mentioned. There are other possible cross allergies to legumes like lentils, soy and chickpeas. In the past the RAST test was often used. This is a blood test for common food allergies that can cause severe allergic reactions like egg, milk, peanut, tree nuts, wheat, crustacean shellfish and soy. However, since about 2010 this has been replaced by the more sensitive ImmunoCAP Specific IgE test. Children who have food allergies to egg, milk, wheat, nuts, peanuts and soy often outgrow these allergies when they age, in other words their immune system can develop tolerance to many of these foods. 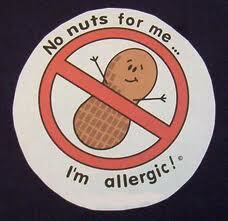 Not so with peanut allergies ! They tend to be very persistent. The immune responses to food allergies are complicated as there are immediate type immune reactions and delayed type immune reactions. The immediate immune responses are investigated with the above mentioned ImmunoCAP Specific IgE test. The delayed immune responses can be measured using the ELISA test. Positive IgE antibody tests for peanut protein are a marker that the person affected likely has more other allergies and they should be investigated by a knowledgeable allergist in that regard (Ref. 2). What complicates the allergy sufferers’ lives even more is the fact that new wheat varieties since the 1970’s, called Clearfield wheat have a much higher gliadin (gluten) and lectin content than the old wheat varieties. As a result of exposure to this new type of wheat gluten intolerance and leaky gut syndrome have increased substantially in the world population (Ref.3). In addition, genetically modified foods like soy, corn, sugar beets, canola and others have challenged the immune system of sensitive humans even more. We do know that some people can develop autoimmune diseases from GMO foods and modern wheat, and this may be the reason that a host of diseases that belong into this disease category (MS, rheumatoid arthritis, Hashimoto’s thyroiditis, ankylosing spondylitis etc.) are much more common now than in the past. The geneticists who developed GMO foods seemed to be unaware how sensitive the immune system is, which will detect a few different amino acid sequences in a protein mounting a strong immune response to it. The key for sufferers from peanut allergies is to avoid exposure to it. Read labels and use common sense. If something is not labeled, do not be tempted to eat it. Peanut flour is often mixed into the dough of crackers, not being labeled properly or only in fine print. With peanuts the antibodies usually circulate in the blood life long as the B memory cells do not diminish and get reactivated very quickly on repeat exposure producing antibodies again. As exposure to peanuts can cause severe asthma or anaphylactic shock, it is important to carry an EpiPen with you and to know how to use it. In Europe attempts have been made to develop an oral desensitization method for food allergies including peanut allergies, but it has not produced concrete results yet. Recently, however, research from Texas, USA showed that it is possible to desensitize patients with peanut allergy by oral desensitization. In Australia where food allergies are more prevalent than in the US, tolerance to peanut, nut and shellfish allergies is being pursued by oral immunotherapy. Another group in Australia has developed a vaccination method using peptides, which are a sequence of amino acids, but shorter than the full peanut protein. It appears that this is the future direction of treatment for peanut and other IgE mediated allergies: a kind of vaccination treatment to induce competing antibodies, which will neutralize the allergic IgE antibodies. Peanut allergies have become more troublesome as the food industry has mixed peanut flour into Thai sauces, drinks, cookies, crackers and such. The person allergic to peanuts must read food labels and eat as much single-ingredient natural food as possible. This goes against the tendency of food processors who produce foods with a long rat tale of ingredients. If you see a label “may contain nuts or peanuts”, stay away from this product, as it is safer. Always carry an EpiPen or Twinject with you, just in case you develop an anaphylactic reaction (you only have a few minutes to stop the allergic reaction with adrenaline). In the future vaccination with a peanut protein specific peptide vaccine as mentioned regarding the Australian research, will probably become the treatment of choice. 1. Adkinson: Middleton’s Allergy: Principles and Practice, 7th ed. Chapter: Food Allergy. © 2008 Mosby. 2. Mandell: Mandell, Douglas, and Bennett’s Principles and Practice of Infectious Diseases, 7th ed.© 2009 Churchill Livingstone.